This February, as part of our Baseline shift programme, Claire Mack and Holly Forsyth from our Careers team spoke about the beneficial schemes that await us during our years as students at Reading. While the main focus was placed on the Reading Internship Scheme, Claire began by outlining the numerous other opportunities that they encourage people get involved with. These are not to be ignored! The Reading Experience Development Award is our university’s Employability Skills Certificate. Its aim is to involve students in activities outside of their course and broaden their skills for the real world. This is broken down into 50 hours, including 35 hours of a core activity which can be things such as paid work or an internship, 10 hours of volunteering, and 5 hours of training and development. Claire made clear that this includes being a course rep and having a part time job. Considering that many students already work part-time, this makes it even easier to complete the RED award and benefit from it. It is a great way to stand out from the crowd as it enhances your CV and is recognised by employers. UROP stands for the Undergraduate Research Opportunities Programme. Students have to opportunity to take on real research within any discipline of the university, including Typography and Graphic Communication, and work in unison with the staff. This usually takes place during the 2nd year of your degree. For anyone interested in research, this is an excellent opportunity. In addition, it will count towards your RED award. These are part time job opportunities on campus and will count towards your RED award. There are a great variety on offer, from regular to one-off jobs. Not only will these benefit your finance but also your work knowledge and experience. Simply register online, then visit the Careers office on the 1st floor of the Carrington building, remembering to bring your passport with you. In addition, students can visit MyJobsOnline to search the jobs board or book a 1-to-1 appointment with Claire or any member of the Careers team. THRIVE mentoring is available to students in the 2nd year of their degree. You will collaborate with a successful professional of your choice for the year. Ask questions, get feedback and boost your confidence. You can choose from mentors on your degree or from a similar academic background. Holly introduced the Reading Internship Scheme. The scheme offers paid internships to all undergraduate students at Reading every year, normally during spring or summer. Holly sources over 100 opportunities, based on the student demand, from small to medium sized employers (SMEs) ranging from 1-250 employees. Holly highlighted that a benefit of this is that you will gain a lot more exposure and advice than you would with a larger employer in the same time. These internships last from 4-8 weeks with pay of £300 per week. 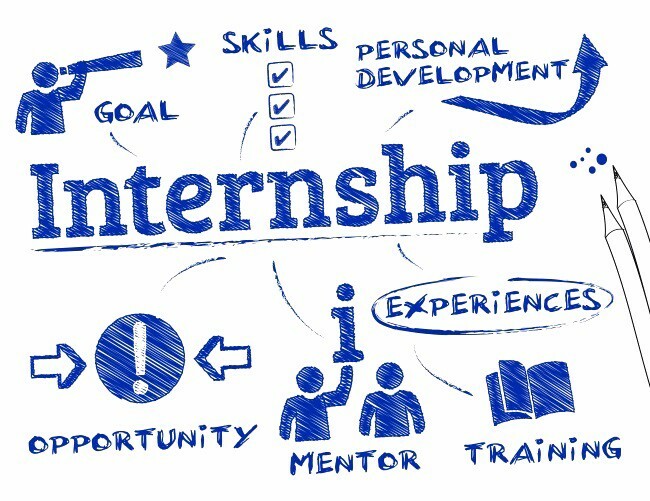 A great benefit of sourcing your internship via the scheme is that many internships alone are unpaid. On top of this, if you would like to source your own internship, you can! If you bring it to Holly’s attention, she will try to fund it and will liaise with the employer on your behalf. Altogether, the scheme can only contribute up to 50% of the funds. And, while most of the selected internships are in and around the Reading area, if you source your own it can be wherever is best for you, anywhere in the UK. Both Holly and Claire said that when applying for an internship, think about what you can put on your CV. This could be anything from work experience to your involvement in societies and how that has strengthened your teamworking skills. It’s worth applying for internships through the scheme, even if they aren’t directly related to your course. They will still benefit you and make you more employable in the future. If you can’t find an internship in your discipline, perhaps look for one with a charity. In summary the talk highlighted the huge range of opportunities available that can greatly benefit our employability. It was eye opening and motivating, especially considering the flexibility of the internship scheme on offer. As a closing note, Holly and Claire stated that most importantly: there will be less time to commit to opportunities such as internships later in our degrees, and therefore we should think about them now rather than later. For more information on all of these opportunities, visit the Careers page. We spoke to some Part 1 students about their thoughts join the opportunities offered by the Careers team.